I currently reside in the Tampa, FL area. I’m a self-taught writer who followed the old adage: read a lot, write a lot. Year of the Dead: Book One, the first installment of a four part zombie apocalypse series, will be released shortly by Severed Press. My semi-Lovecraftian novella, Days of Rain, is scheduled for release this April from Nightscape Press. After years of avid reading (mostly in the fantasy, SF, and horror genres), I decided to try my hand at writing and started to craft semi-coherent short stories in my early twenties. In the late nineties, I won Chizine’s second annual short story contest. That made me realize I might have some aptitude for this whole writing thing. My short story “The Nameless” was published in an anthology called The Blackest Death. The publishers of the antho let me know they’d be interested in a novel length version of the story. So I went ahead and wrote it. And that’s how my first novel, The Nameless, was born. I’m sure I do although I couldn’t specifically define it. 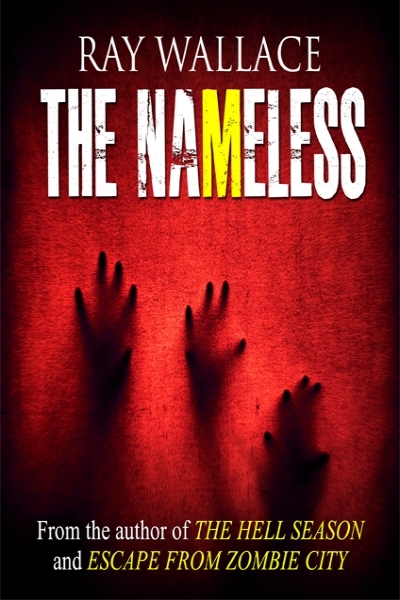 The Nameless are supernatural entities hiding in plain sight within human society. Unknown. Nameless. In the night, one can encounter any number of dangerous entities, none more so than The Nameless. Not much. Although I hope it seems realistic. 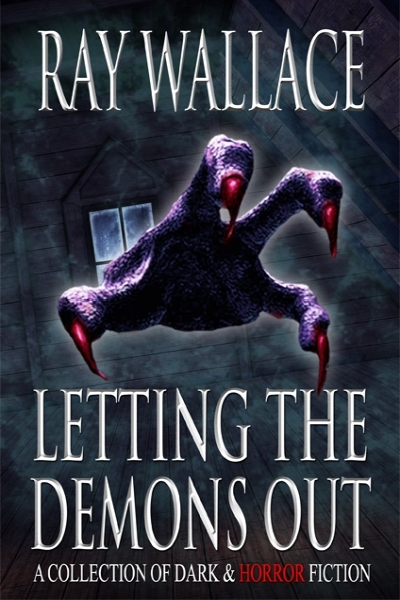 The list of influences is a long one that would include Stephen King, Clive Barker, H. P. Lovecraft, along with Robert McCammon, Joe Lansdale, Edward Lee, and a slew of others. I’m about halfway through Jeff Vandermeer’s Veniss Underground and it’s excellent, as expected. I just finished reading Josh Malerman’s Bird Box and thought it was great. I’m wrapping up a few shorter works along with a novel that’s been mostly finished for a while now entitled A Man Possessed. Then it will be on to Year of the Dead: Book Two along with a sequel to Days of Rain. 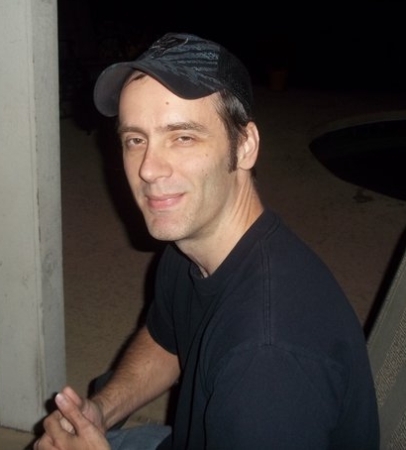 Winning the Chizine contest and then going on to write reviews for them for many years introduced me to the idea of the horror genre as a community. I’m certainly working toward that goal. No. I’m happy with the way it turned out. I think it was just a natural progression from reading so much, having all those ideas rattling around inside my head, wanting to get out. Creating unique and interesting characters is always a challenge. It’s something I’m always working on. If I had to pick just one it would probably be Joe Lansdale. A great writer who creates memorable characters and infuses his stories with a dark sense of humor. No. Thanks to the internet. Various artists. 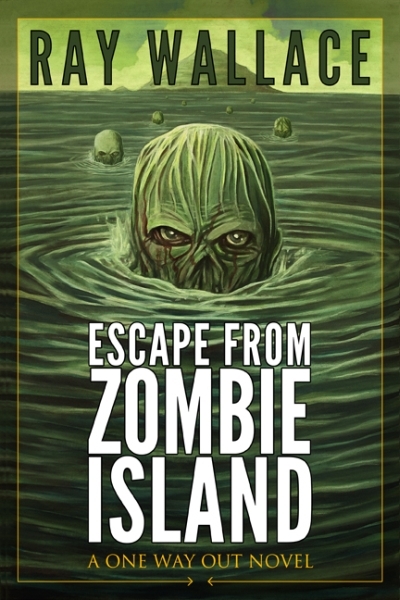 The one I’ve worked with the most, so far, is Zach McCain who did the cover art and interior illustrations for all three of my One Way Out novels. How to edit/tighten up my prose even more than I had before. Writing is work but it can also be a lot of fun if approached with the right attitude. Don’t try to put too much pressure on yourself or set your expectations to high or it could all very easily overwhelm you. To anyone who has ever read or purchased any of my books, believe me, it is greatly appreciated. Not specifically. I know The Hobbit and A Wrinkle in Time were among the first along with a bunch of Choose Your Own Adventure books. Carl Sagan. I’m a big science nerd and no one spoke more eloquently on the subject. This isn’t much of a concern of mine. I figure that since I’ll be dead, it’s not going to matter to me one way or another. Reading (of course), listening to music, watching movies/TV shows. TV shows: True Detective, Fargo, The Knick, Banshee, Game of Thrones, Breaking Bad, The Wire, It’s Always Sunny in Philadelphia. Movies: Fight Club, Se7en, 12 Monkeys, Bladerunner, The Matrix, The Lord of the Rings trilogy, The Shawshank Redemption. Foods: Chicken and fish as I don’t eat red meat. Colors: I don’t know if I have a favorite color. If I had to pick one, I guess I’d go with red. Or black, if that counts as a color. Music: I’ve been into metal since my teenage years. I also enjoy industrial music along with an assortment of electronic genres. Something in the science fields, particularly astronomy/cosmology/astrophysics. Or anything to do with quantum theory. I would love to work at the Large Hadron Collider at CERN.